"Food writing's shameful secret is its intellectual poverty," writes John Thorne, himself a distinguished member of the fraternity. This widely valid generalisation was notably challenged by Mireille Johnston, the French/American cook, author, scholar and television presenter who has died the day after her 65th birthday. She was born Mireille Busticaccia, the only child of Jean-Philippe, a successful importer-exporter, in a house on the old promenade des Angles on the Côte d'Azur. "I was born in a tall apricot-coloured house with green shutters overlooking the sea," she began her first cookery book. "When I think of my childhood I remember the bright colours, the sounds, the smells and tastes of Nice. We were constantly sent to the seashore, the garden or the hills to find ingredients for the kitchen." But this idyllic childhood was shattered by the Second World War. The family home was blown up by the Germans and her father became a key member of the Resistance in Marseilles. A part of her bilingual education took place abroad in an English boarding school. MIREILLE'S distinction lay not so much in her books as in the totality of her life. A woman of extraordinary intelligence, modesty, beauty and personal charm, she wore her Ph.D. as lightly as anyone I have met. 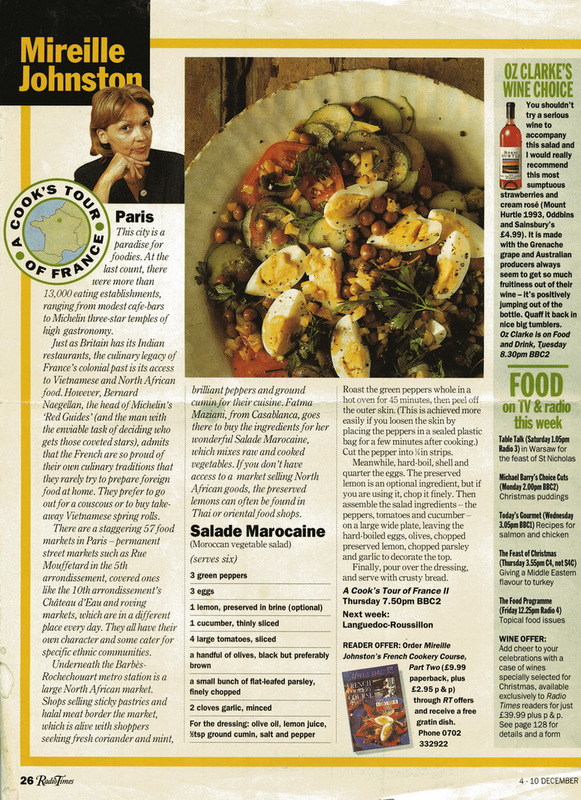 Thus she was admirably suited for her tour de force, the 12-part BBC2 TV series A Cook's Tour of France. Recorded in 1992/3, it was formulated as further education rather than light entertainment, and so her interviews with chefs and artisanal food producers were conducted in French and broadcast with English subtitles. This in turn made it possible for her to converse fluently on camera with some of the most distinguished names in contemporary French cuisine, including Paul Bocuse, André Daguin, Joel Robuchon and Lulu Peyraud. The format and content were worked out in collaboration with her producer, Clare Brigstocke. In each locale that Mireille visited she was able to establish in a few words its distinctive cultural identity. The music made its contribution as well; all of it was French and much of it related to the scenes it accompanied. The series has recently been rebroadcast abroad on BBC Choice, but radio and TV, alas, are ephemeral media. This is a timeless document which should be available on DVD. Lulu Peyraud is the matron of the great Bandol vineyard, Domaine Tempier, and the subject of Richard Olney's fine portrait, Lulu's Provençal Kitchen. Mireille's visit to Lulu was particularly appropriate, inasmuch as the latter is a close friend of Alice Waters, the mother of modern California natural cuisine. Alice, like Mireille, came to food by way of an academic career coupled with political activism. They subsequently met over lunch at Alice's Chez Panisse in Berkeley. MIREILLE'S academic and political interests were encouraged by her lifelong husband, Thomas Johnston, whom she met in 1958 on the Ile de France during her first trip to America, to continue her education. After her undergraduate study in Aix-en-Provence, she had been awarded a Fulbright scholarship, for which she showed her sophisticated grasp of American culture by choosing to study American Indian civilisation at Oberlin College. Tom and Mireille were married within a year and continued their academic studies together at Yale. After gaining her doctorate in comparative literature, she taught at Yale, then Sarah Lawrence and Barnard. Tom, in the meantime, was beginning his own career as a documentary filmmaker. This took them both to New York City, where he worked with D.A. Pennebaker, also Yale-trained, in the ground-breaking cinéma vérité production unit, Drew Associates. This brought him into contact with the Kennedy family and in 1964 Tom took charge of Robert Kennedy's New York City office; over the next four years he was to organise the Senator's many diplomatic journeys to foreign countries. Mireille thus met several of the world's political leaders, such as President Mitterand, and also entertained some of America's best-known intellectuals, including Norman Mailer, Jules Pfeiffer, and Random House Publisher Jason Epstein. The fact that Mireille was a polished hostess and able cook did not go unnoticed, and Epstein commissioned her first cookbook, Cuisine of the Sun: Classical Dishes from Nice and France (1976). This and her subsequent book, The Cuisine of the Rose (1982), were both designed by Milton Glaser, another dinner companion. 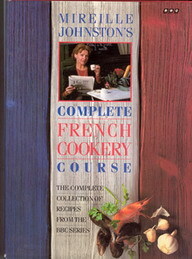 Mireille Johnston's Complete French Cookery Course (1992-4) was based on her TV series. Her books contain highly personal versions of classical French recipes, but her departures from tradition are conscientiously noted. IN 1972 Mireille translated into English, for overdubbing and subtitling, the transcript of Marcel Ophuls' remarkable four-hour documentary on occupied France, The Sorrow and the Pity. When I spoke with her last May she explained that her work on the film had been a tribute to her father. He was disgusted, she said, with the number of known collaborators who after the war claimed to have remained loyal to France. This theme is thoroughly explored in Ophuls' film, in which Emile Coulaudon, known to the underground as Colonel Gaspar, remarks: "There's a thing that amazes me when I talk to people that I know supported Petain. They all tell me what they did in the Resistance." "At its best the Resistance was the first classless society in France," says Philippe Daudy in a filmed interview. "The two classes became comrades in arms, sharing the same dangers, and even death." Inheriting from her father this sense of social justice, Mireille remained a dedicated and active member of the French Socialist Party. Her translation for the film, together with biographical and appendix material, was published in Britain in 1975. COMMENTING on Mireille Johnston's heritage, Charles Shere of Chez Panisse remarks: "The magnificent coastal garden, from Barcelona to Genoa, spreading so enterprisingly up the slopes, and out to the islands, contains the seed and the source of Mediterranean civility. That old, old setting, from Greek times to ours, has produced such amazingly rich, evocative, imaginative, earthy intelligences." Indeed, Mireille brought to her life's work all that she had received through her father's Italianate family, conditioned and enriched by her Nicean upbringing. The result was a cultural blend as complex yet coherent as the cuisine which she so ably practised and presented. 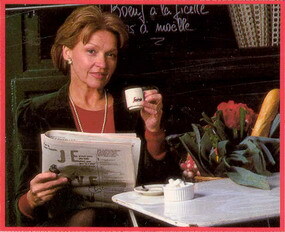 Mireille Busticaccia, born Nice, France, 4 October 1935; married 1959 Thomas Johnston; two daughters, Margaret-Brooke Johnston-Clarke and Elizabeth Johnston; died Paris, 5 October 2000. Very polished, moving and revelatory. Please do my obit when my wayward lifestyle does me in. I was impressed with the deft pedal work that made for rich chords without overstating the theme. You reveal her as a very complex, interesting, and valuable person without claiming anything more for her books than what they deserve. It seemed to me a perfect gem. NOTE: I've been able to transfer A Cook's Tour of France to DVD. The programmes are old enough so that I'm sure there would be no problem in a few copies going out. In fact, these days I could probably even put them up on YouTube!